Chris kirubi is suffering from collon cancer and might have few weeks to live. He come back to the country handed all his property before going back for treatment. 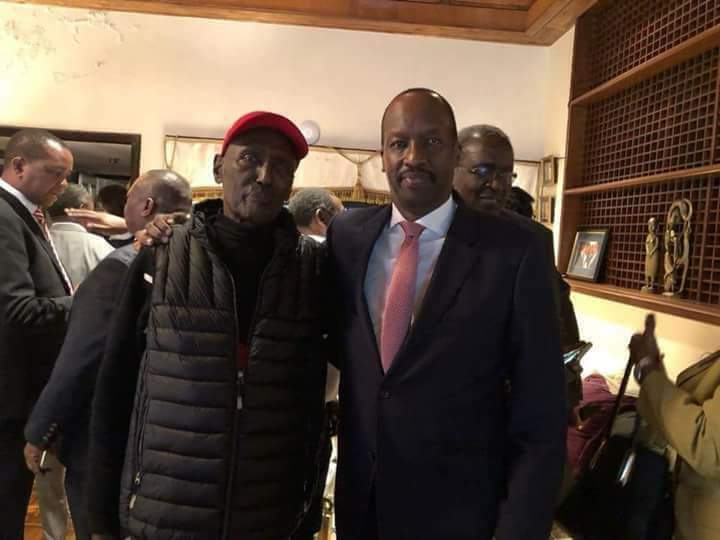 "After looting billions from KENATCO, Uchumi and KQ, Colon Cancer is what is taking Kirubi to the grave and he knows it. Without a single cent. Sad. He came back to Kenya to hand over his wealth to a trust as he continues to get his treatment in the US. Impact lives. Don’t loot!" Kenyans were not happy with alai post here is their reactions. it shall be well with our souls and someday cure shall be found!" 1. You mentioned that he is without a single cent 2. You also said he handing over his wealth. Get your facts right and prove read your lies at the least. He shall not die but shall live to declare the goodness of God.